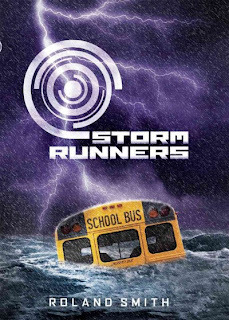 Summary from Goodreads: Chase Masters and his father are storm runners, racing across the country in pursuit of hurricanes, tornadoes, and floods. Anywhere bad weather strikes, they are not far behind. Chase is learning more on the road than he ever would just sitting in a classroom. But when the hurricane of the century hits, he will be tested in ways he never could have imagined. Crystals Review: Chase Masters and his father have been traveling around the country chasing storms. After traveling to a Palm Breeze, Florida chase is left with the rossi family while his father travels to the nearby town of Saint Pete to prepare for an oncoming storm. Chase quickly makes friends with Mr.Rossi’s daughter nicole. The next day while at school, chase begins notice changes in the weather that indicate the hurricane may actually be heading straight for Palm Breeze! On the bus ride home just a few miles from the rossi’s farm chase’s worries become reality as the hurricane sweeps the bus off the road and into the water, leaving Nicole, Chase and their new friend Rashawn to fight their way through the storm to safety. This book was an exciting read and would be an interesting read for kids interested in weather. : Roland Smith is an American author of young adult fiction as well as nonfiction books for children. Smith was born in Portland, Oregon, and graduated from Portland State University and, following a part-time job at the Oregon Zoo in Portland, began a 20-year career as a zookeeper, both at the Oregon Zoo and the Point Defiance Zoo in Tacoma, Washington. After working to save wildlife following the Exxon Valdez oil spill, in 1990, he published his first book, Sea Otter Rescue, a non-fiction account of the process of animal rescue. Smith continued to draw upon his zoo experiences for other non-fiction titles, including Journey of the Red Wolf, which won an Oregon Book Award in 1996.